New version of NextGIS Mobile is out! 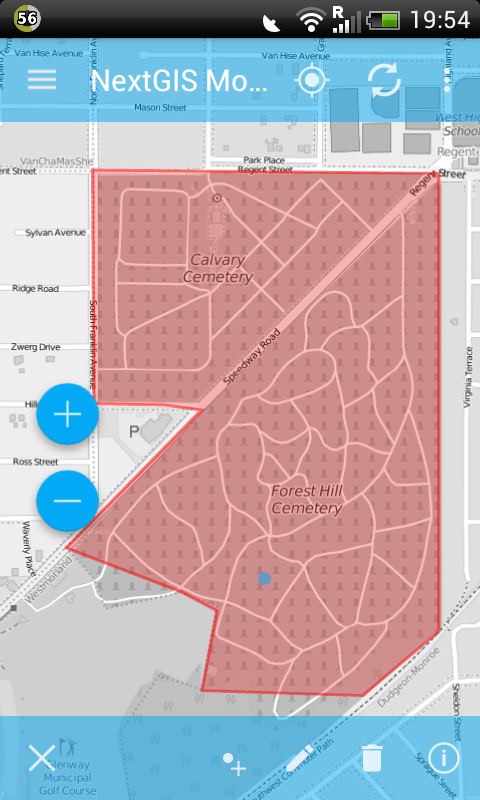 NextGIS Mobile is our GIS app that allows you work with geodata on your smart devices. New version features layer creation, tracks export, support for multipart geometries and much more. Here we will discuss main features of the new release. Full list of changes can be found here. One of the important improvements is the ability to create new layers right in the app. Just give it a name and define a set of attributes to fill. You can now switch between light and dark visual theme. No need to reload the app. 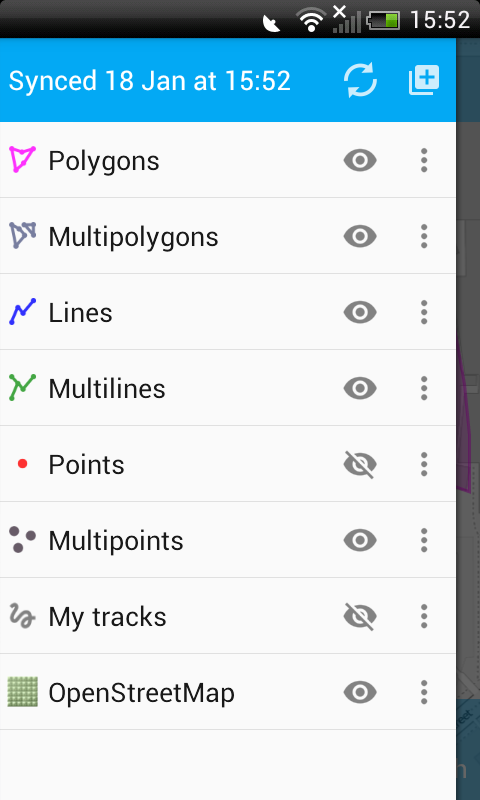 NextGIS Mobile can now work with multi-part geometries (multipolygons, multilines, multipoints), it can show, edit and export them. In addition, there are new editing tools to add rings and parts to create donut-like shapes. There is now a convenient way to replace current geometry with a new one without changing attributes. 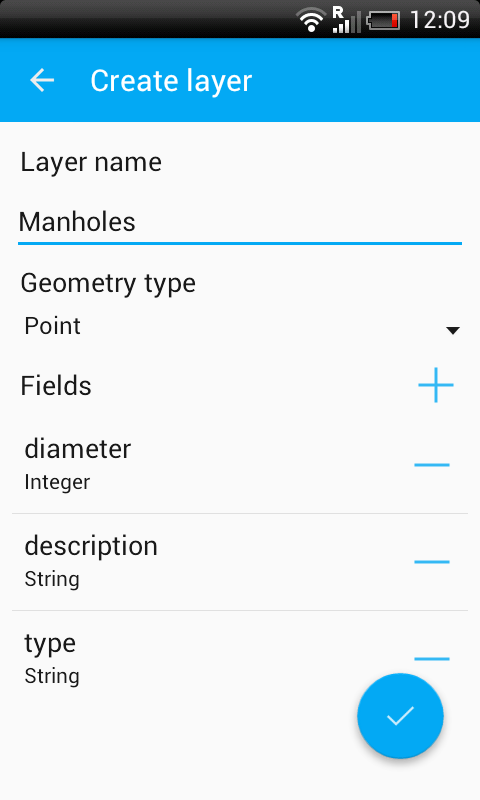 Simply start editing a feature and tap ‘Add’, current geometry will be replaced by default one which you can continue editing. 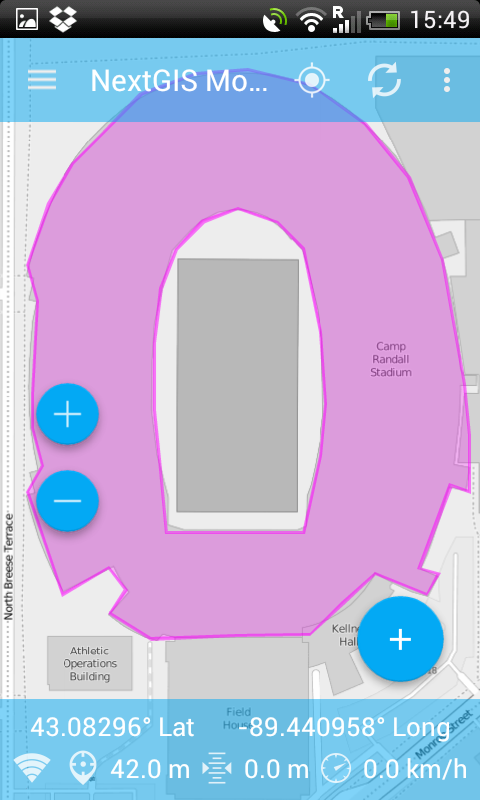 GPS can now be exported to GPX by sharing. You can share one or many tracks at once. You can now attach photo or photos to a feature. On export or syncronization with remote server, those photos will be saved/synced together with the layer. 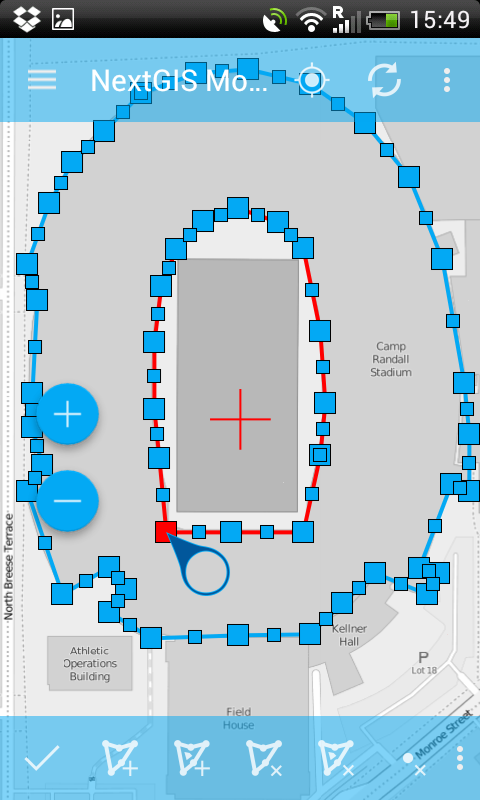 We already have tools to create points in the center of the screen or at current location. You can now also create them in any part of the screen by long tap. Situation when there are underlying objects is also considered. 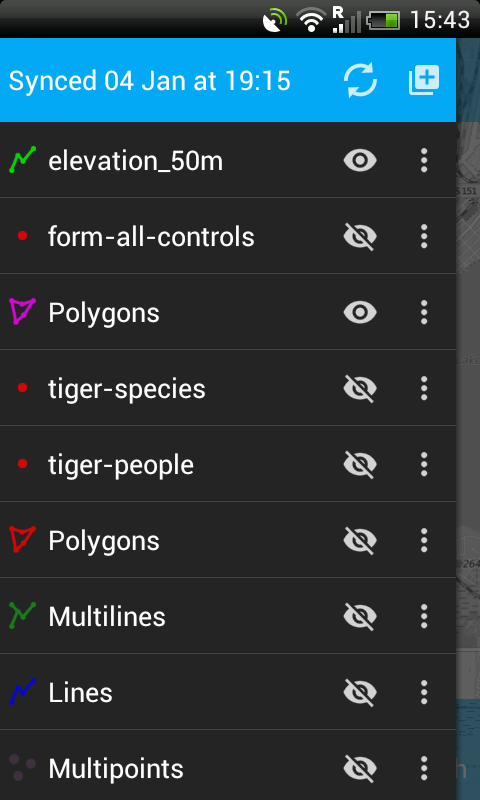 Our app will let you choose if you want to create a new point or start editing existing polygon. Digitizing by walking now continues even if the screen is off. 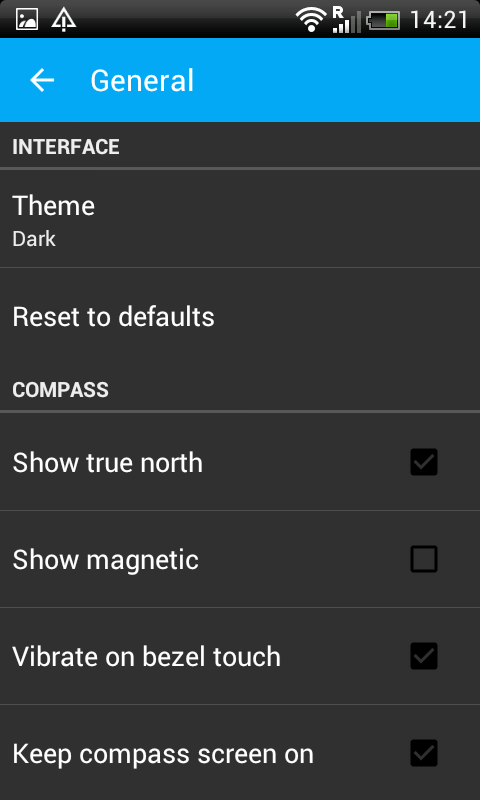 Compass on the map or separately, can be turned off in Settings. If you removed a layer by mistake, there is a chance to undo it now. Layer icons now reflect geometry type and legend used to show them on the map. You can now bring all app settings to defaults via Settings menu. Support for *.ngrc tile caches created with QTiles (more on in a separate post soon).